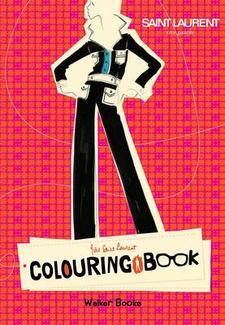 This is a colouring, drawing and activity book like no other. Utilising previously unpublished sketches by Yves Saint Laurent this book will appeal to young aficionados of fashion. Incorporating fabric swatches, design and fashion tips, children can participate in bringing colour to sketches, completing designs and fuelling their imagination (and maybe their career aspirations) as they put themselves in the shoes of a designer.